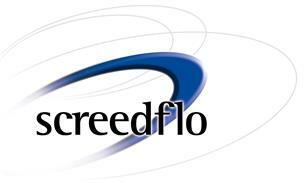 Screedflo Ltd - based in Maldon, Essex. Screedflo Ltd will supply and install screed to projects of all sizes from 1m³ to 40m³ per day. So if you have a small domestic extension or a larger development, we can provide you with a first class liquid screed installation service. We control the complete process from manufacture to installation, so you can be sure of receiving the highest quality products and excellent service. We have an experienced team of floor screed installers, who only work for Screedflo Ltd.
Our screed is batched on site using our Bremat mobile batching units. So although it is similar to other liquid screeds delivered in ready mix trucks, we can supply the exact amount required and there is no waste. This is used in most domestic and commercial applications with and without under floor heating. We can lay this at a minimum of 30mm onto a concrete slab, 40mm with insulation and 45 -50mm with under floor heating. We also supply and acoustic floor system, made up of a 10mm foam, 24mm acoustic board, edge isolation strip and membrane. When laid on a timber floor with our screed, this system provides the feeling of a concrete floor, and exceeds Part E noise reduction requirements for party floors. If you would like any information about our products please contact us. Based at Braintree, Essex, we cover the whole of the South East Region including Essex, Norfolk, Suffolk, Cambridgeshire, Berkshire, Bedfordshire, Hertfordshire, Buckinghamshire, West Sussex, East Sussex, Surrey, Kent, London and parts of Hampshire. But we can supply other areas, so call us with your enquiry. We can accommodate liquid screed deliveries and installations at short notice if required. Call us for information or a quotation on 01621 874781. Norfolk, Suffolk, Cambridgeshire, Bedfordshire, Hertfordshire, Essex, Buckinghamshire, Berkshire, Northamptonshire, West Sussex, East Sussex, Surrey, Kent, London and Hampshire.